Circa 1970's vintage Selmer mouthpiece. 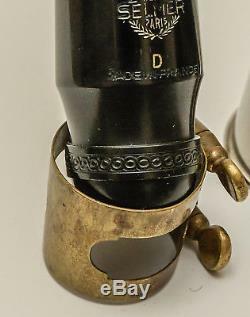 Included double screw brass ligature stamped "France" & chrome cap. The item "Selmer scroll shank alto saxophone mouthpiece, D facing" is in sale since Wednesday, April 11, 2018. 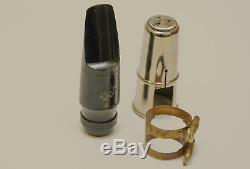 This item is in the category "Musical Instruments\Wind & Woodwind\Parts & Accessories\Mouthpieces". The seller is "holdgaj1" and is located in Arrodets. This item can be shipped to all countries in Europe.